The Tundra Swans are a beautiful species of Holarctic bird family. These swans are normally divided into two taxa which are commonly considered to be conspecific. Sometimes they are also considered to be two distinct species namely the Whistling Swan and the Bewick’s Swan. This species is generally categorized under the genus Cygnus and sometimes under Olor, with other Arctic swans. 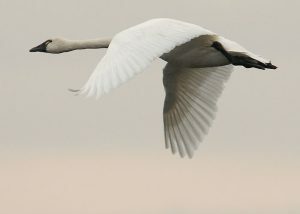 The group of Tundra swans inhabiting Taimyr Peninsula, eastern Russia, are occasionally classified as sub-species but is mostly kept under the Bewick’s family. Size: Both species of Tundra swans have body lengths ranging between 115 cm and 150 cm. Female birds are smaller in size than the males. Wingspan: Their wingspan stretches between 168 cm and 211 cm. Weight: Their weight varies between 7.5 pounds and 21 pounds. Color: They are white in color. Their feet and bills are black. A faint salmon pink line runs along the side of their mouth. Bewick’s species have yellow patches on rear side of their bills. Those ones living bog lakes and similar aquatic territories have a splash of rust or golden color near their heads and necks, due to excessive iron content in water. Feet: They have webbed feet like most species of swans. Bill: Their bills are very hard, outstretched and pointed. Eyes: Tundra swans have a dark brown iris. It is very interesting to observe their behavioral characteristics along with their gracious beauty. They always flock in groups, except during their breeding season. During the winter months they fly away to warmer and more coastal regions. During the breeding seasons they prefer to sleep on land unlike winter months, when they sleep frequently in water. They tend to dip their heads completely under water while searching for food. These birds are life-long monogamous beings. Tundra swans are omnivorous in their dietary habits. They mainly feed on the stems, tubers and leaves of aquatic plants. They tend to eat sago, widgeon grass, mannagrass, marine eelgrass, clasping leaf pondweeds and wild celery. They have also adapted themselves to eating wheat shoots, corns, soybeans and grains. These swans consume aquatic creatures such as shellfishes, mollusks, clams, mussels, worms, dragon flies, aquatic beetle larvae. The Tundra Swans calls sound like a high-pitched honk. Ground calls of both types of Tundra Swans are similar. The Bewick Swan emanates a low pitched soft ringing sound while on flight. The Whistling Swan calls in a distinctly high pitched trisyllabic squeals during flight. During flight, the Tundra swans stretch their necks and rhythmically flap their wings in rapid movements to make a clattering sound. While migrating, these birds fly at an altitude of nearly 8 kilometers. Experts claim that these birds can fly at a constant speed of 70 km an hour and can even reach up to 135 km per hour speed occasionally. 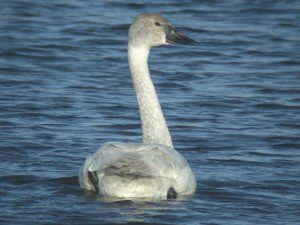 The Bewick’s Swans are commonly found in the Palaearctic habitat zone which includes many places in Asia, Europe, northern Africa and the Arabian Peninsula. The Whistling Swans mostly reside in the Nearctic habitat region. They can be seen in most parts North America, Greenland, Mexico, Central America, Caribbean islands and parts of South America. The Bewick Swans spend their breeding seasons in coastal lowlands of Siberia and in September they fly to the wintering grounds. Birds living near the Taimyr Peninsula normally winter in the British Isles, in Denmark and in the Netherlands. Birds living in eastern Russia migrate through Mongolia in the coastal regions of Japan, Korea and southern China as well as in Taiwan. The Whistling Swans spend their breeding season in Alaska and Canada. They migrate to more inland areas of Californian Central Valley, Utah, Texas and northern areas of Mexico in October. Swans breeding along the coasts of Arctic Ocean fly via Canada and the Great Lakes while migrating to the Atlantic coast of USA, primarily from Maryland to South Carolina. Sometimes they also migrate to Florida. These swans mostly reside in shallow lakes, ponds, pools and rivers. Gulls, foxes, jaegers, coyotes, minks, river otters, raccoons, skunks and weasels are some of their main predators. The bigger animals on their predator list are wolves, bears and mountain lions. These birds are humble in nature and they avoid their predators rather than fighting them down. The long neck and bill of the Tundra Swans aid in their search for food. They are also agile swimmers and flyers, which means that if they spot their predators nearby, they can fly away or escape quickly to save themselves. During incubation they tend to nest in areas where their predators’ footfall is less. During the incubation period the males guard the nests and alarms the females any sign of danger by making a high pitched vocal sound. 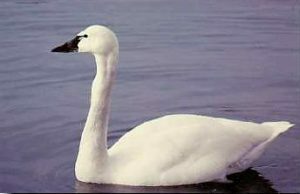 The Tundra Swans mate during the late spring months. Tundra Swans are lifelong monogamous birds. They reach sexual maturity at the age of 3 or 4 years. After courting for a whole year they mate with each other. They start nesting from May end on elevated landscapes near to water bodies. These swans are territorial in nature. While the females incubate the eggs, the males guard the territory and signals any sign of potential danger. The females lay about 2-7 creamy-white eggs, incubate them for almost a month. The hatchlings leave their nests within a day after birth. Since birth they are capable of feeding and swimming. 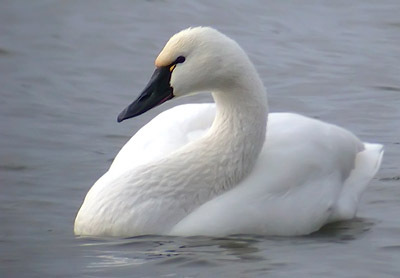 Tundra swans grow faster due to their nesting habits in colder regions as compared to those that breed in warmer zones. 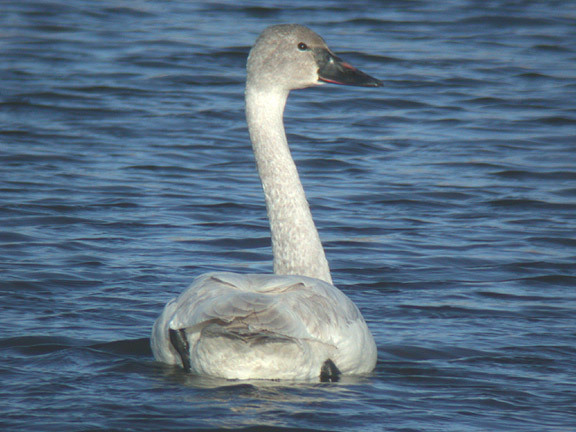 Bewick’s Swan off-springs take about 40 to 45 days to fledge while those of Whistling Swan take around 60 to 75 days. The young fledglings do not leave their parents until the first winter migration. Young swans of the previous breeding seasons also reunite with their family while wintering. The Tundra swans have an average life span of about 10 years in the wild. Their life span varies in captivity depending on the care. The Tundra Swans are categorized as Least Concerned by the IUCN listing. Bewick’s Swan is named after Thomas Bewick, an illustrator of animals and birds. These birds tend to sleep on land during the breeding season but prefer to sleep in water during the winter months. 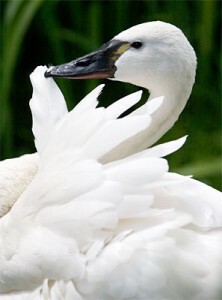 The male swans are known as cobs, the females are called pens and the juvenile swans are termed Cygnus. These birds are frequently confused with trumpeter swans as the two species are highly alike in their appearance. These swans are excellent swimmers and have a rapid flying action. Here are some amazing pictures of these beautiful Tundra Swans. I think this website is awesome! It helps my school report. This doesn’t help my school report at all!! 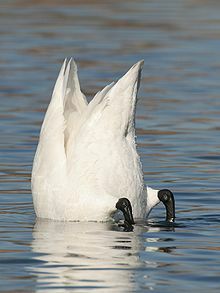 wow cool tundra swans are amazing!!!!!!!! !